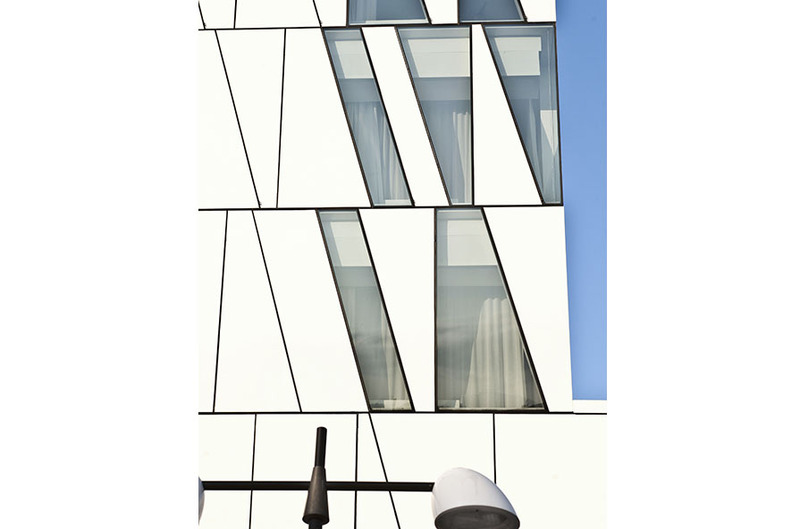 The beautiful “crooked hotel,” the AC Hotel Bella Sky Copenhagen, has an eminent view of the canal and the city, and is one of the many architecturally unique buildings in the Danish Capitol. 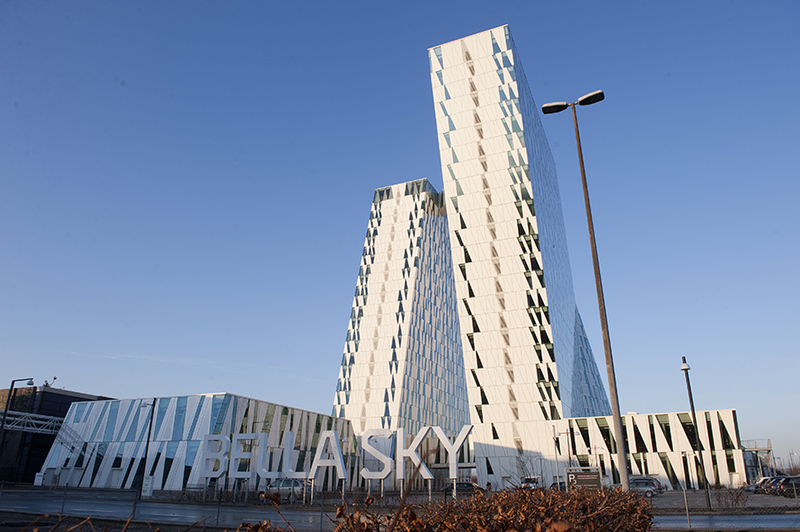 The hotel, formerly known as the Bella Sky Comwell Hotel, is a 4-star conference hotel that is adjacent to the famous Bella Convention and Congress Center in the Ørestad district of Copenhagen. 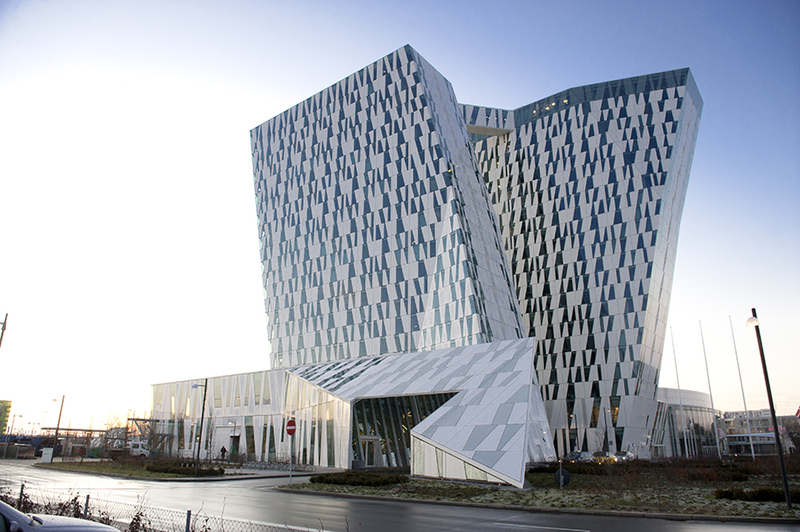 With an astonishing capacity of 814 rooms, it is the largest hotel in Scandinavia. The hotel is designed by the architecture firm, 3XN, and consists of two towers reaching the stunning height of 76.5 metres with an inclination of 15° in opposite directions. 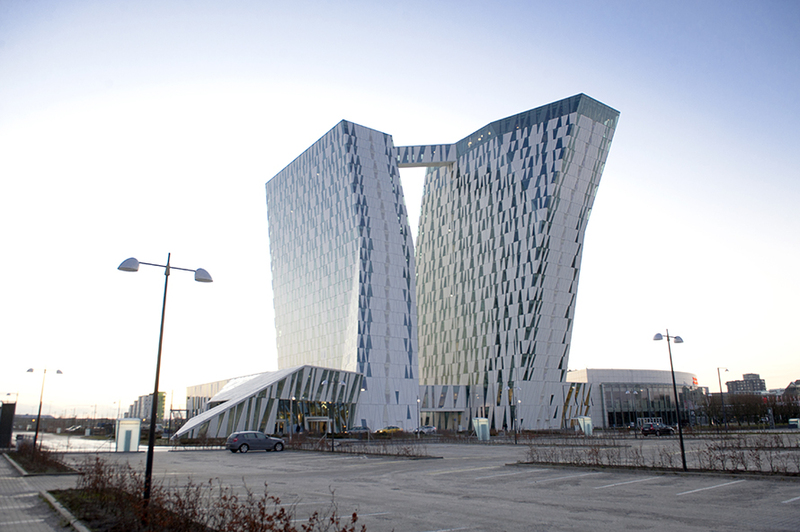 The height was largely determined by restrictions due to the close proximity to Copenhagen Airport and the tilting design, which was chosen to optimize views from the hotel rooms. 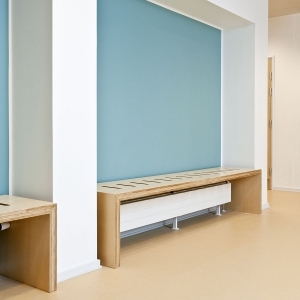 Ramboll was consulting engineers on structures, sewers and earthworks. 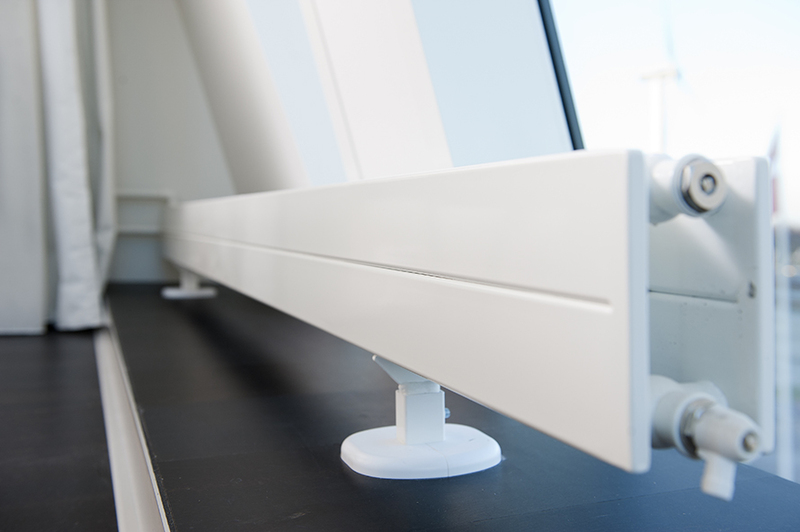 All calculations and drawings used by Ramboll on the project were extracted from a 3D model, in combination with the calculation programme ROBOT working together with the design programme TEKLA. Some of the facilities at the hotel include five restaurants, 30 meeting rooms and an 850 m2 wellness area. 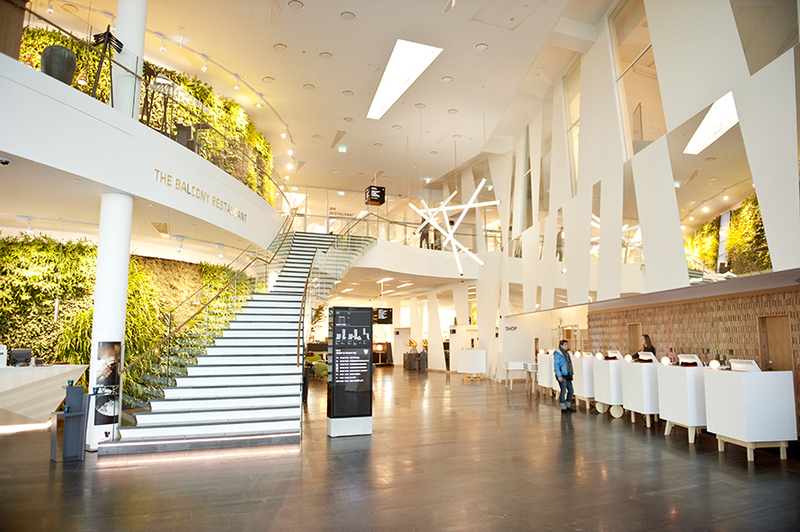 The 17th floor is specially designed for women, but also welcomes men, and the Bella Sky Bar is situated on the 23rd floor. 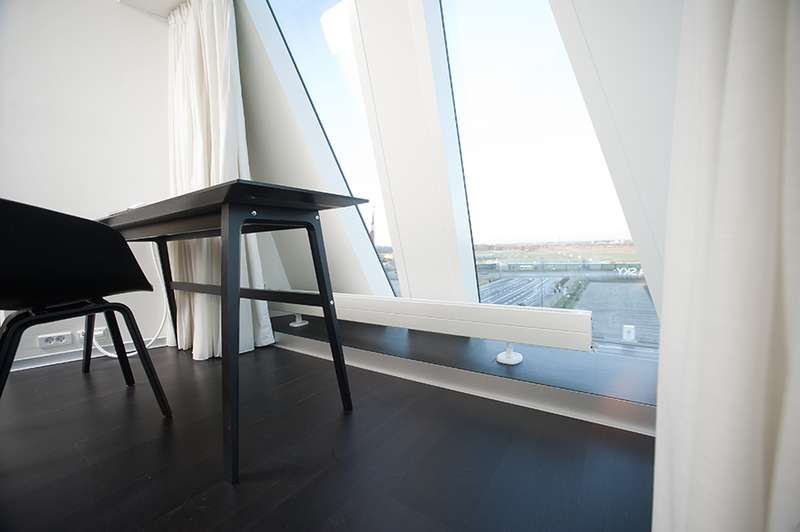 The view was incredibly important when the hotel was built and thus the rooms are equipped with large floor-to-ceiling windows. That consequently means a substantial amount of cold draughts, though, that needed to be limited in its way into the room with the help of radiators. 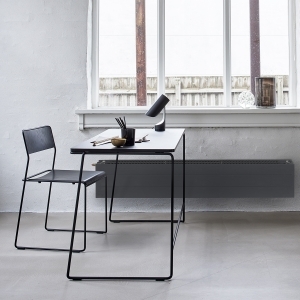 At the same time it was important that the radiator didn’t affect the beautiful view and that it was attractive from both the front and back, as it would be visible from the outside of the hotel. 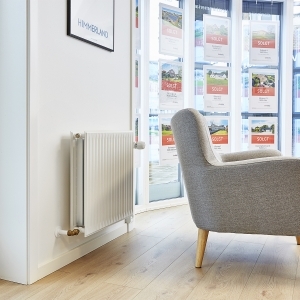 The final radiator choice was the short, compact low-convector, Hudevad LK, which is extremely effective and has both a flat front and back plate, as it is designed specifically for situations such as the Bella Sky one.